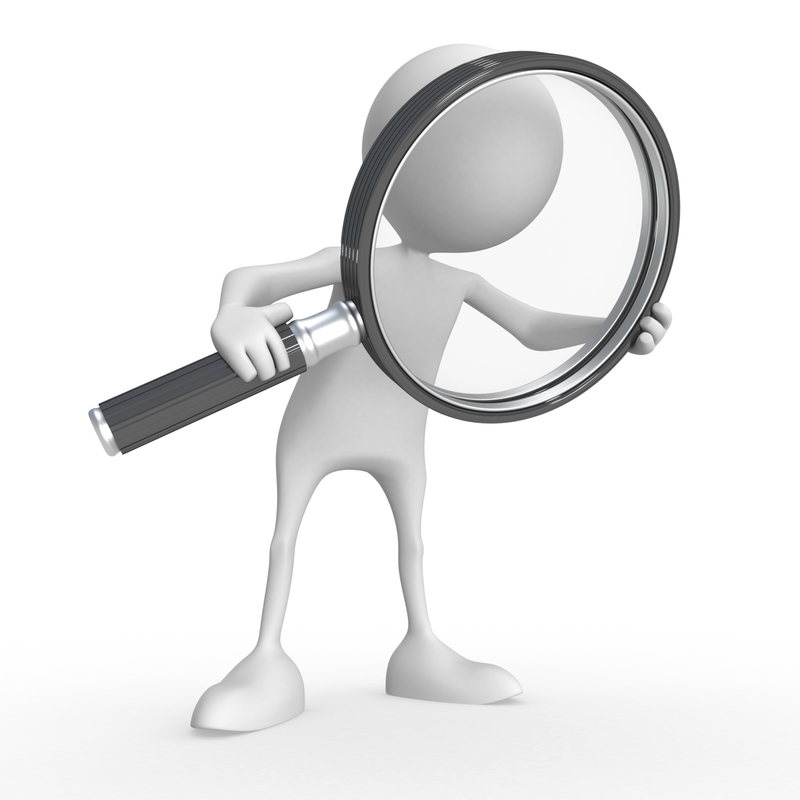 This post explains how you need to look at the SMSTS file information when comes to troubleshooting. 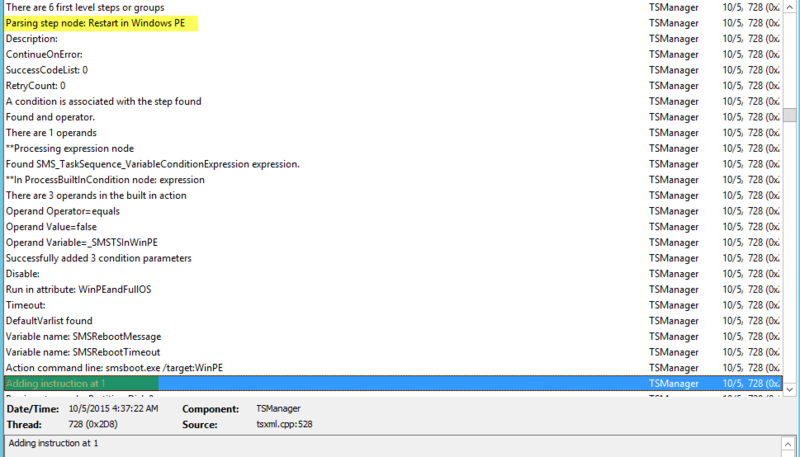 You can use filtering options in CMTrace.exe utility to view log statement in different steps. 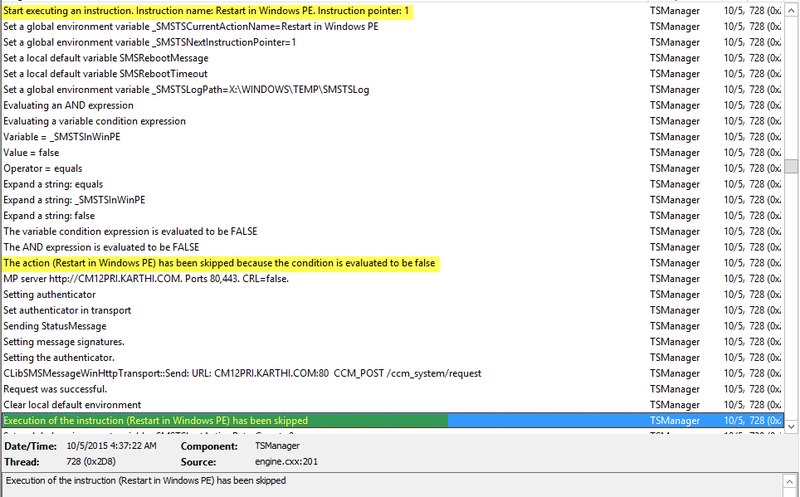 Please refer the below article to locate SMSTS log file for troubleshooting. There will be a different phases during OS installation and i have listed them in the below. This phase shows how the machine is booting up whether PXE booted or Media and boot image details. 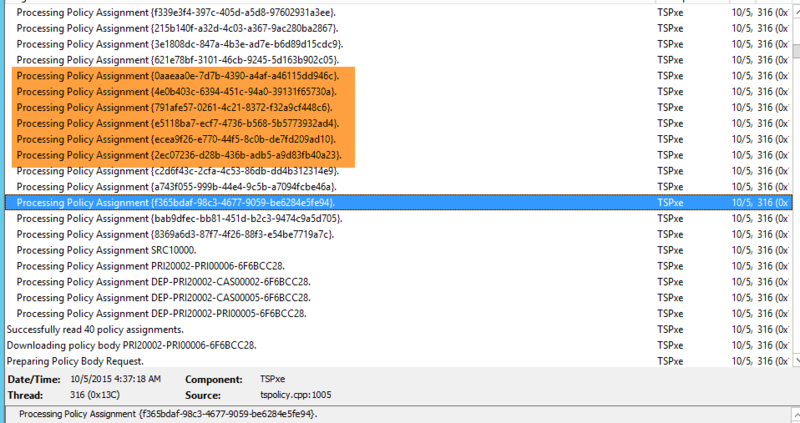 Executing TFTP download to copy the variables used in the Task Sequence and write into variables.dat file and we can see IP address details. 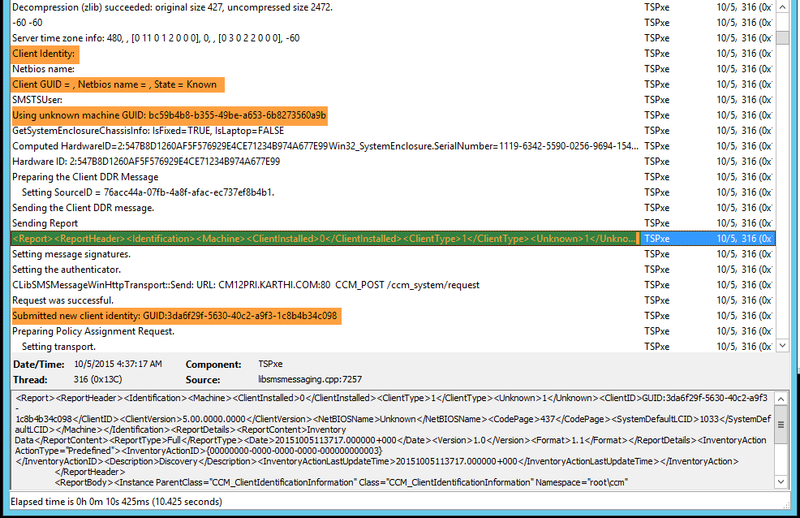 SMSTS log list the below details in the Client identity phase. 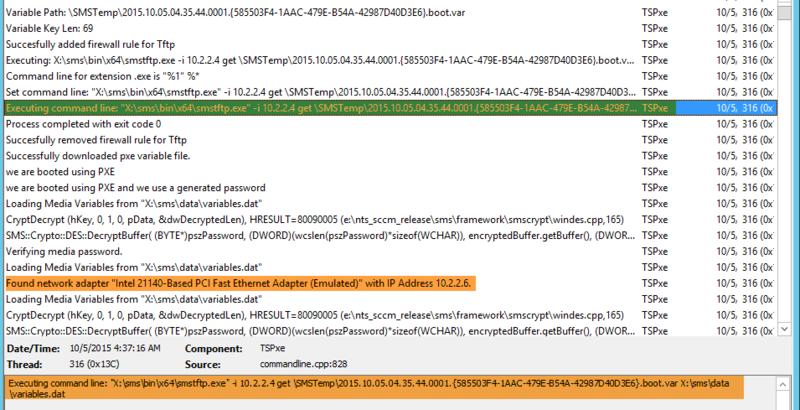 Add SMBIOS GUID & MAC Address and execute Client identity request. Once request is successful, Client Identity state become KNOWN. 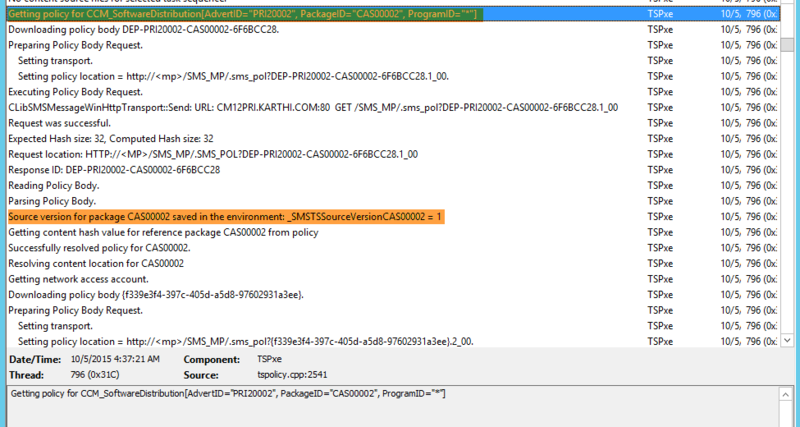 In this phase, we can find policies download information & current TS running on what mode. If it is set to Downloadon Demand mode,which means the task sequence manager downloads content locally only when it must access the content. The below entries show up the Welcome & Task Sequence Selection Page. 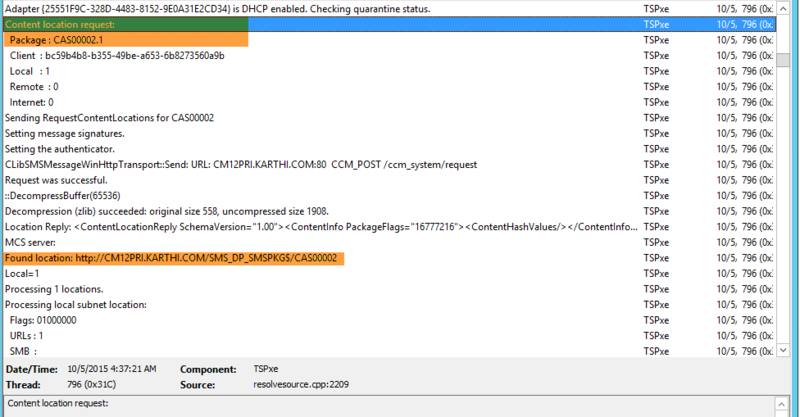 It will find content location for the packages associated with current task sequence. 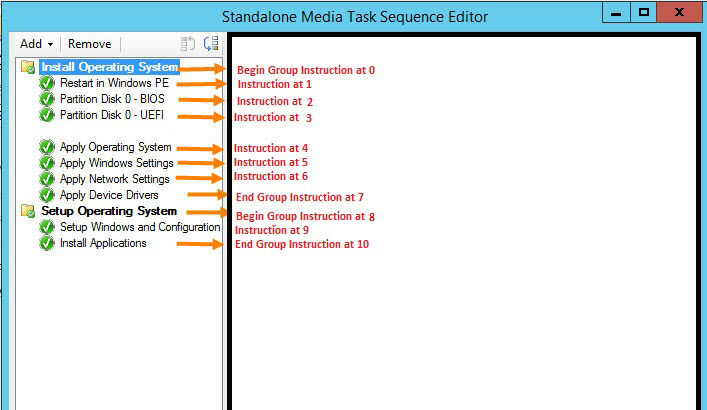 Reads the Task Sequence groups, Steps, Condition and put that information into instruction variables. It will name the each TS group & step by Instruction at 0,1,2,3 as like below screenshot. 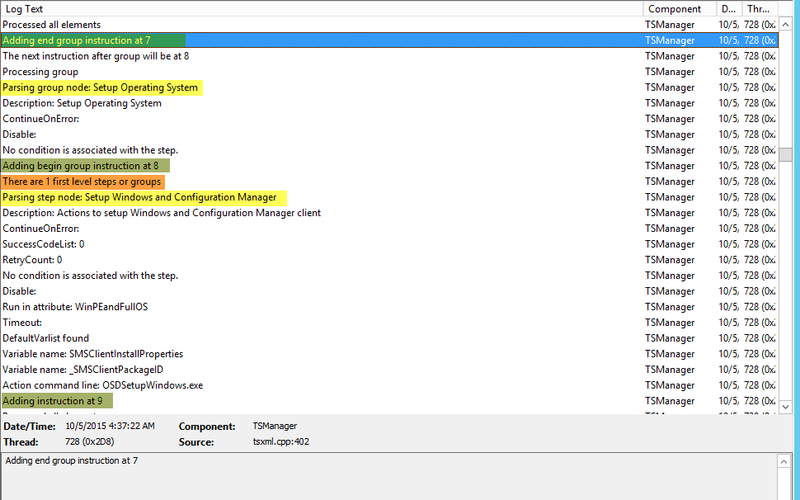 This phase task sequence manager execute the instructions by order. The important thing it is not actually installing OS at this step. 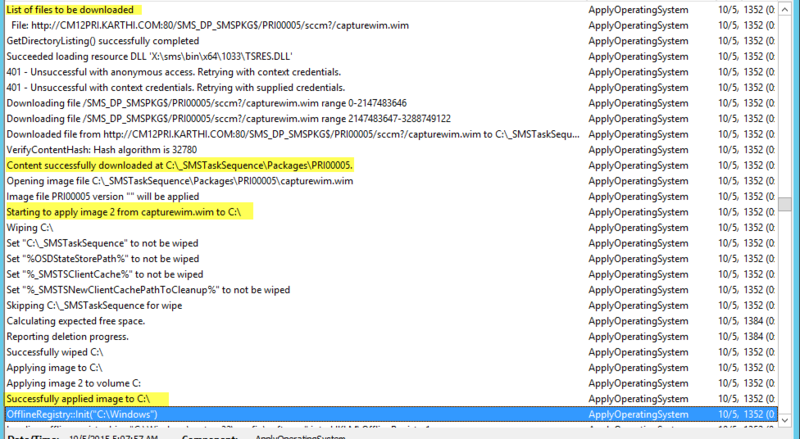 It only downloads the OS content and mount on C:\ Drive and save configuration info to unattend.xml file . The actual OS installation will happen in Setup Windows and Configuration Manager TS step and unattend.xml file will be used during OS installation. 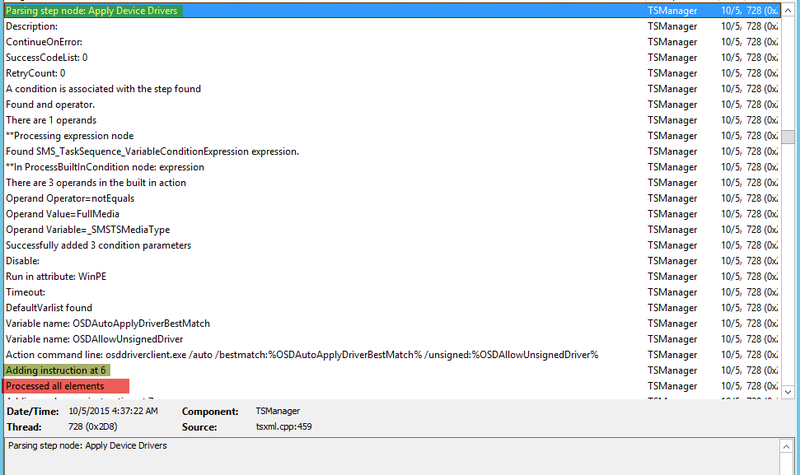 Reads the properties and condition of this step and write into unattend.xml file . 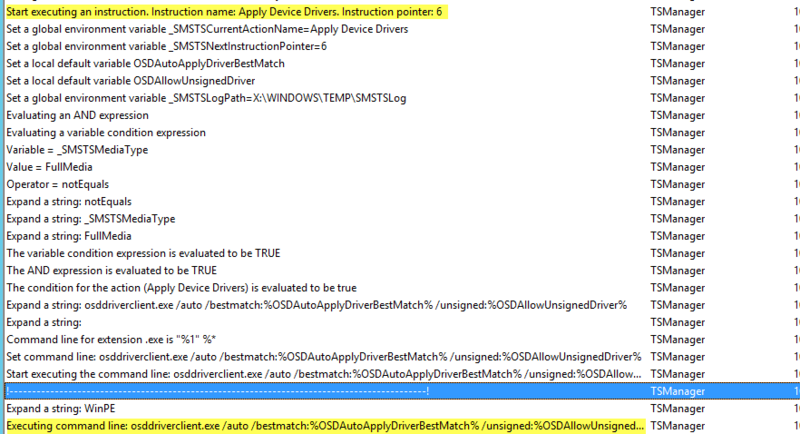 Apply network settings step execution as same as this step. 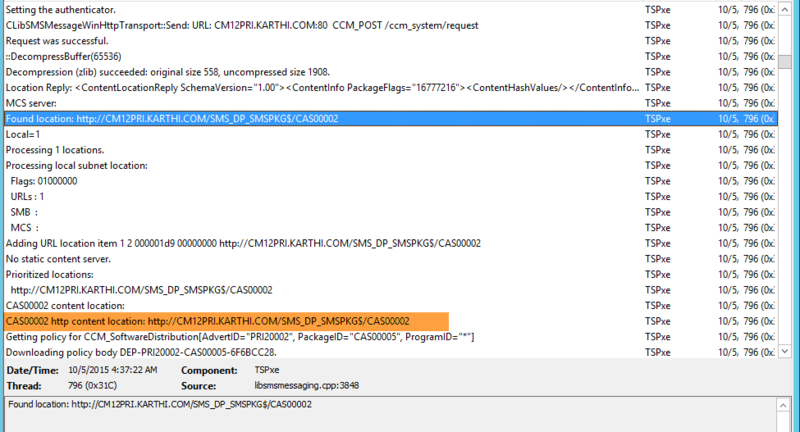 Reads the properties of this step and find the suitable drivers through MP -> Database and write the information into unattend.xml file. This is where actual OS installation starts and it reads unattend.xml file to apply configuration. 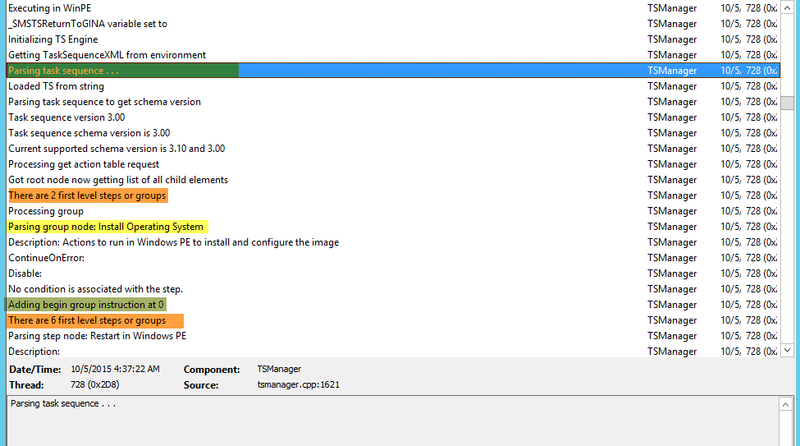 Then, will install the Configuration Manager Client. and the Task Sequence execution has been completed successfully. I hope this post helps you. Thanks! nice info thanks for update.. Very Detailed Info. Awesome Karthik!